Chinese spies were able to add small, undocumented chips to motherboards in data servers bought by big US tech companies, according to a blockbuster investigation by Bloomberg published Thursday. The data servers were sold by Supermicro, based in San Jose, California, according to Bloomberg. Supermicro’s stock lost more than half its value on Thursday. On Thursday, Bloomberg published a blockbuster investigation that found that Chinese spies were able to plant tiny microchips on motherboards in data servers bought by American tech giants including Amazon and Apple. The goal of the Chinese spies was reportedly to use these microchips to gain access to sensitive corporate data and other secrets through advanced hacking. Many more details are in Bloomberg’s report. 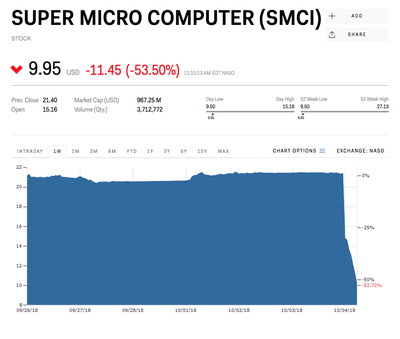 Now, Supermicro’s stock is plunging. It dropped by more than 53% on Thursday, to $US9.95 a share, losing over half of what its value was at the end of Wednesday. All companies involved in the story, including Supermicro, have strongly disputed Bloomberg’s findings. Amazon said in a statement that “it’s untrue that AWS knew about a supply chain compromise, an issue with malicious chips, or hardware modifications when acquiring Elemental,” the US video service on whose servers, the report says, Amazon found the microchips. 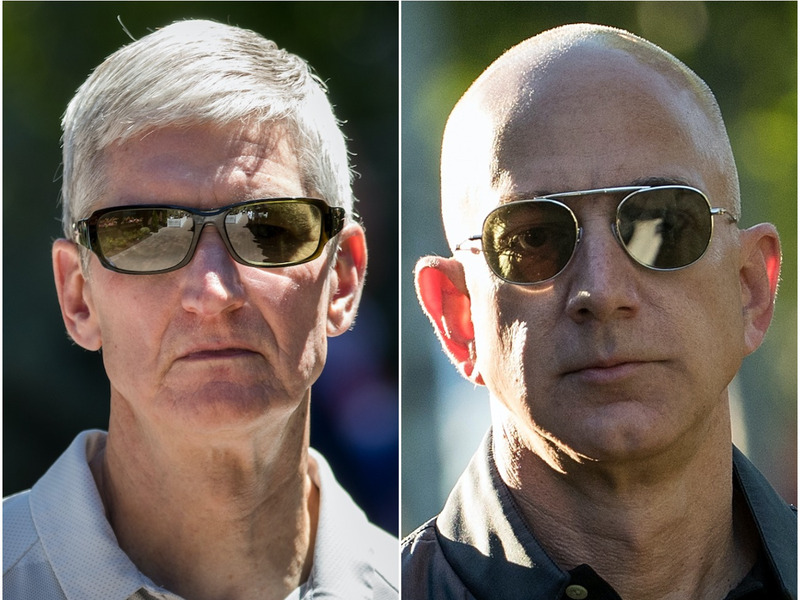 Shares of Apple and Amazon were both down over 1% at the time of publication.